Our Wedding Cakes are part of The Fruitcake Factory Studio based in Meopham near Gravesend Kent, We cover many surrounding areas including Surrey and London. There is nothing more exciting than the cake at the wedding, birthday or any special event. The cutting of the cake is a long standing tradition at Weddings around the world. It is the first joint domestic chore a couple will perform as husband and wife and offers welcoming and hospitality to all their guests. Every cake is made using the finest quality ingredients and include luxurious traditional fruitcake, classic vanilla and chocolate Genoese, moist carrot cake, luscious lemon, raspberry Genoese and our Red Velvet. 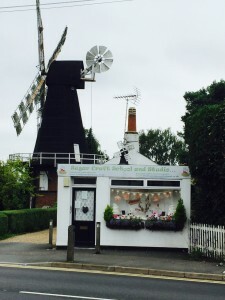 The Fruit Cake Factory is a small, yet well established family run Sugarcraft School based in Meopham near Gravesend, Kent. Formed by Karen Lawson and her husband Martin , It specialises in bespoke couture cakes for weddings. Karens love for baking and sugar craft skills has ensured her place as one of kents leading cake designers. 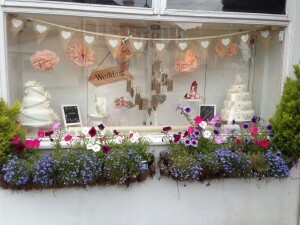 Please look through our GALLERY where you will find a comprehensive range of beautiful WEDDING CAKES . If you fall in love with any of the cakes in our gallery you can simply ask us to modify the colours and those little details to match your occasion wonderfully! Or perhaps you already have an image of your dream cake in your head? Do you have lace on your dress that you would like copied onto your cake! No matter how extravagant, just let us know your ideas and we will tailor-make a unique cake just for you! Our designer trained at The National Bakery School in London Southbank University, then went on to teaching in major universities and colleges, for 24 years, Sugar craft and Cake Decoration are our specialty. We cover KENT, SURREY, LONDON and surrounding areas.